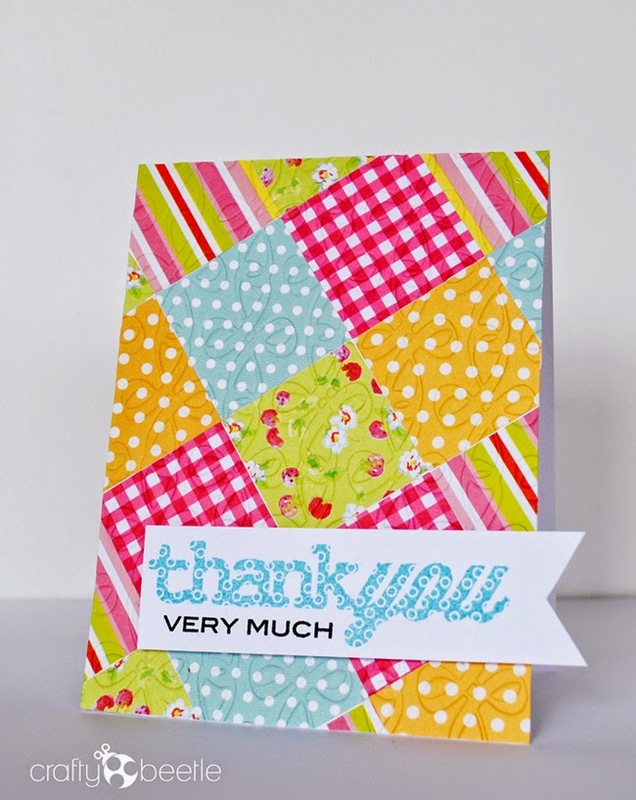 The new Papertrey Ink Make It Monday challenge is No-Sew Quilted Cards. After choosing five different prints of patterned paper, I trimmed them into 1 1/2” squares and adhered it onto white cardstock. I made the card following Dawn McVey’s tutorial. Next I put it through the big shot to emboss the whole card front and finished it off with a thank you sentiment. Very pretty colors! I love how bright and cheery your card is. Wowza- I love these colors! The embossing folder you used is spectacular for this technique! BLOG CANDY at my blog : ) All you need do to have a chance to win is post a comment on my latest post. I hope you will stop by to say hi.